When word first got around about the TV adaptation of Fargo last year, I was bewildered by the decision. 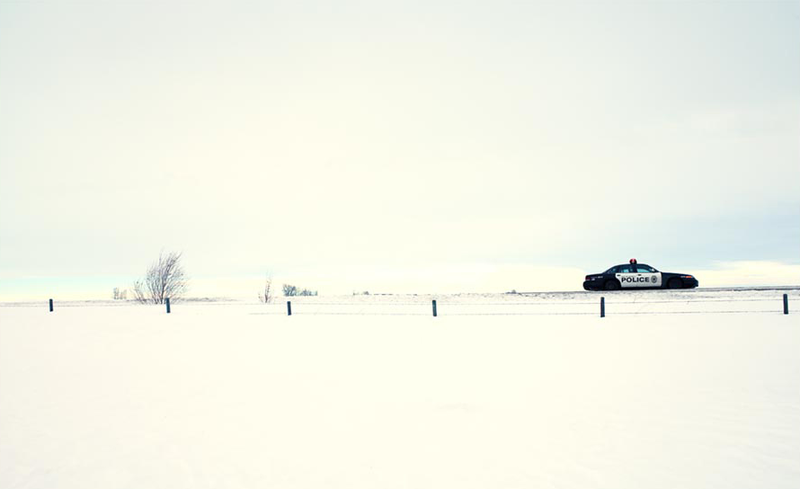 Fargo’s a classic picture that still remains one of the strongest works in Joel and Ethan Coen’s filmography as well as the movie that propelled them to the top of contemporary cinema. Remaking Fargo seemed like a terrible idea as such mastery the Coens’ proved in their icy cold Minnesota setting can’t be replicated without coming off as a pale imitation. Any unease about Fargo I had was almost immediately alleviated by the first few minutes of “The Crocodile’s Dilemma,” where a lone driver speeding down accidently collides into a deer, resulting in his car spiraling off the freeway and into the snow-covered banks on the side of the road. Almost immediately afterward, a man pops out of the trunk, wearing only his underwear, and runs into the cold-opposing woods. After watching this moment, I realized why Joel and Ethan Coen gave their stamp of approval for Fargo (they’re serving as executive producers though did not intervene on the creative process). “The Crocodile’s Dilemma” is a perfect evocation of Fargo and echoes the movie’s spirit and tone without ripping the story off. There’s no equivalent scene in Fargo as the opening of “The Crocodile’s Dilemma,” but it’s as equally dark and humorous as the multiple car-jacking of the film and feels completely akin to the picture. That’s the heart and soul of the success of “The Crocodile’s Dilemma,” which is easily the best pilot of the 2013 to 2014 TV season (and that includes True Detective). Creator Noah Hawley’s story does not emulate Joel and Ethan Coen’s screenplay but takes a similar pattern. In Fargo, one crime leads to another until violence and havoc implode when car salesman Jerry Lundegaard can’t hide his injustices any longer. Hawley’s pilot takes the same manner and it’s clear the series will build up on the blood that will spill over the Minnesota snow. The show’s protagonist, Lester Nygaard (Martin Freeman) triggers the violence that ensues in “The Crocodile’s Dilemma.” Lester is an insurance man who is well meaning but clumsy at his job. He’s also a middle-aged loser and can’t stand up for himself, unable to confront an old high school bully or even his wife (“Sometimes I tell people you’re dead” she declares to him). But then he meets Lorne Malvo (Billy Bob Thornton, the driver from earlier), a quiet but dangerous contract killer who isn’t afraid to speak his mind. After Lester tells him his problems, Lorne decides to help him out and become more of a man. Lorne’s actions though are not what Lester had in mind and soon a trail of blood and mayhem follows their path. There are many parallels to Fargo the TV series and Fargo the movie. Freeman’s Lester fills William H. Macy’s role as Jerry while Allison Tolman’s Officer Molly Solverson is similar to Frances McDormand’s chirpy Police Chief Marge Gunderson, not to mention the thick Minnesotan accents remain (the extreme politeness and manners are as funny as they were in the film). Thornton’s Lorne may be taking the shoes of the two bumbling criminals Steve Buscemi and Peter Stormare played but he’s a perfect equivalent to Anton Chigurh, the near-unstoppable hit-man Javier Bardem played in the Coen’s No Country For Old Men. Though more comically tuned, like Chigurh, Lorne’s presence itself is threatening and he’ll make your blood curdle as he intimidates many of the show’s characters. It’s a strong decision on Hawley’s part as he’s more interested in not replaying similar notes but creating new situations. “The Crocodile’s Dilemma” is far from being predictable and will have viewers second-guessing every twist and turn. “The Crocodile’s Dilemma” fills a lot of ground almost instantly, but by doing so it establishes Fargo firmly. Hawley’s series is an ode to Joel and Ethan Coen’s craft and by not trying to replicate the movie but take the universe and create a whole new ensemble. So far, I’m excited for what the rest of this miniseries features. It seems like more and more notable, lovely faces show up along the way, so that’s definitely a plus, especially for regular-cable TV. Good review. Thanks! I’ve seen the pilot twice and it was even better the second time. It’s a surprisingly great series. I’m curious about this solely for Martin Freeman which I thought is a rather odd choice. Did he have a Minnesotan accent in this show? Freeman does do a Minnesotan accent on the show. I thought originally thought he was too distinctive for the role but he’s really good and plays the character similarly to William H. Macy.